He was 15 June 1933 – 30 August 1981 second President from 2 to 30 August 1981 after serving as prime minister under Abolhassan Banisadr. He was also minister of foreign affairs from 11 March 1981 to 15 August 1981, while he was prime minister. 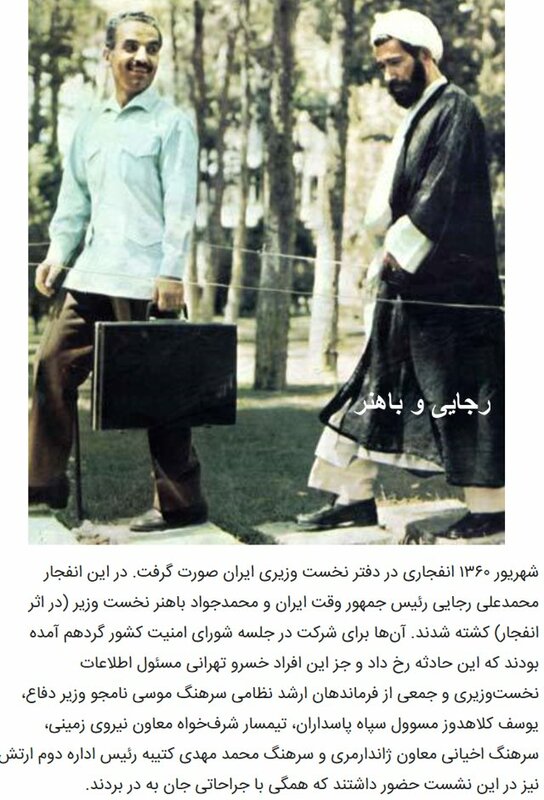 He was assassinated in a bombing on 30 August 1981 along with prime minister Mohammad-Javad Bahonar.